Netflix has always been completely free of ads, and proudly so. In fact, during its China launch in April, CEO Reed Hastings said, “Our focus and our expertise is really in commercial free.” A month later, users in the United States started seeing ads before and after watching a video. Was Hastings lying? Is Netflix going to become just like any other TV network, where you have to sit through commercials while watching a television show or movie? Let’s sort the fact from fiction. Over the past few days, some people have been reporting how Netflix has been testing ads that run before and after you play a video. Well, it’s true, but not in the way you think. The bad news is that Yes, Netflix is thinking of running ads after a video. The good news is that these ads will be trailers for other shows, particularly Netflix Originals such as Orange Is the New Black. Pretty soon, the media was all over it. Cord Cutters News caught the information first, VICE’s Motherboard sought confirmation from Netflix, and pretty soon, the whole Internet was going bananas. No advertising coming onto Netflix. Period. Just adding relevant cool trailers for other Netflix content you are likely to love. Netflix has been pretty clear that these advertisements will not feature any third-party advertisers, which means you won’t see random commercials, even if it’s one of the best Super Bowl commercials ever. What you will see are trailers and teasers. Yup, trailers, much like what you see when you go to the movie theater, even though cinema is dying because of you Are You Responsible for the Death of Cinema? Are You Responsible for the Death of Cinema? Cinema is in its death throes. But why? Do we blame the directors of crappy films? The alternative viewing options now available? Or are you personally responsible? Let's figure this out. Read More . It makes sense for Netflix to do this since it is investing heavily in creating original shows like House of Cards, releasing entire seasons on the same day for fans keen on binge-watching A Short Guide To Binge-Watching [Weird & Wonderful Web] A Short Guide To Binge-Watching [Weird & Wonderful Web] Netflix and Amazon Prime Instant Video have turned binge-watching into a mainstay of the mainstream. Before you begin binge-watching TV you should arm yourself with some important information. This short guide helps. Read More . There is ongoing discussion about whether these trailers qualify as ads. A common point being raised is that no one thinks trailers included on a DVD or shown at the theater are “advertisements”, so why is Netflix being treated differently? 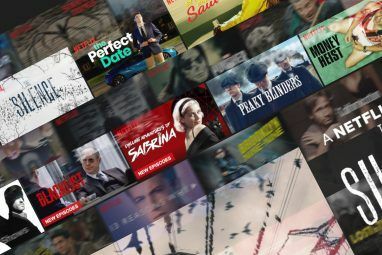 Helping users discover the right content is still a challenge for Netflix, which was the main thought behind its last redesign. That’s what these trailers will do. But it’s skewed in favor of Netflix, which is both platform and content provider in this case. After all, it is in Netflix’s best interest for you to watch the TV shows they made over TV shows someone else made. With that conflict of interest, can you be sure that Netflix is recommending the best possible show for you? In case you don’t trust Netflix, just so you know, there are other ways to find the perfect movie to watch right now How To Find the Perfect Movie to Watch Right Now How To Find the Perfect Movie to Watch Right Now Hollywood churns out so many movies that it's very difficult to sort the wheat from the chaff. Luckily, we're here to help you find the perfect movie to watch right now. Read More . Could Netflix Add Ads In the Future? Netflix has always stressed the importance of being ad-free, but there is a problem with this picture. Recently, the chief executive of WPP — the world’s largest marketing company and an investor in several content producers — pointed out that while Netflix’s ad-free model is powerful, it isn’t yet profitable. And it has promised $9.5 billion over the next five years to owners of the content currently being streamed. “In those circumstances Netflix will have to raise subscription prices, and we know what happened last time, or have alternative revenue generation opportunities, one of which will be advertising,” said WPP’s Sir Martin Sorrell, referring to when Netflix lost 800,000 subscribers over a price hike. Commenting on an Australian Netflix competitor called Stan, a PriceWaterhouseCoopers analyst said video advertising is inevitable on streaming services. Video advertising is forecasted to grow at “36 percent per annum for the next five years”, which makes it too lucrative to ignore. However, eventually turning to ads might be a problem, even if does turn out to be a necessity. People hate ads Publishers Need to Stop Whining About Adblock Publishers Need to Stop Whining About Adblock Ad-blocking seems like a natural option for any consumer because of a simple reason: it's an easy way to get rid of an annoyance. Read More , especially on services like Netflix. The main reason being that several Netflix users have come from the ad-free experience of piracy. Would You Use Netflix for Free with Ads? What makes Netflix great The Ultimate Netflix Guide: Everything You Ever Wanted to Know About Netflix The Ultimate Netflix Guide: Everything You Ever Wanted to Know About Netflix This guide offers everything you need to know about using Netflix. Whether you're a new subscriber or an established fan of the best streaming service out there. Read More is an ad-free, premium experience. And this ad-free policy has made it popular, with the company boasting a userbase of over 60 million subscribers, according to its Q1 2015 earnings. Go through the Reddit discussion and you’ll find several users saying they would be willing to pay more if it meant the continuation of a service completely devoid of advertising. The big question is whether Netflix will introduce ads in the future. Most users are clear that they won’t pay for it, but what if it was free? 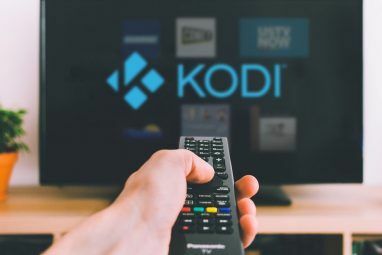 As part of the streaming generation The End of Ownership: Netflix, Spotify, and The Streaming Generation The End of Ownership: Netflix, Spotify, and The Streaming Generation Streaming media is convenient, but you're giving up something important: ownership of digital media. 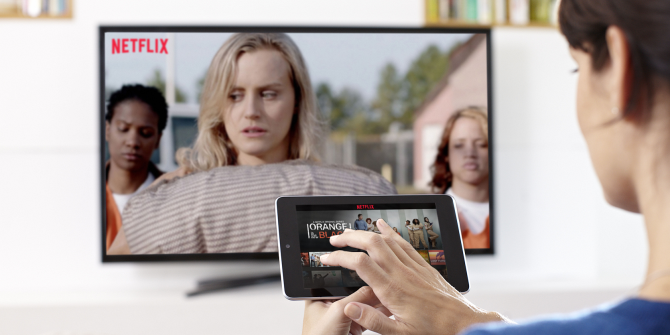 Read More , would you be okay with a free Netflix powered by ads? Please let us know your thoughts in the comments below. And in the meantime, calm down. Explore more about: Netflix, Online Advertising, Television. For a free version they may ad ads. But when i pay for it then i don’t want to see ads. The ads that i see are commercial ads. I find this a waist of my money. Not sure when this article was written, but as of today, 5/27/2018, Netflix is running commercials. Just started watching first episode of The Break with Michelle Wolf. Ten minutes in she said, "watch these commercials" and the commercials started running, beginning with one for Amazon, so no, it wasn't a trailer for another Netflix show. 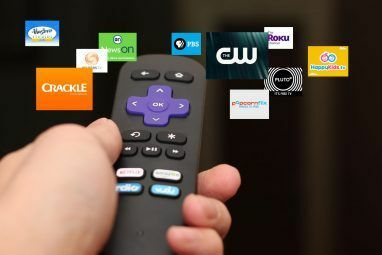 I subscribe to Netflix, Amazon Prime, Hulu, HBO Now and Sling TV. I do not need them all and Netflix will be the first to go if they are running commercials. Sling is going get cut next because it has lousy content. I would pay even 5 more dollars a month for no ads. Anything but ads. Please. I would cancel my subscription if they implemented ads. I'd rather a price increase. Netflix is an incredible value and I'd gladly pay a little more to keep it as is. I've always thought that the people who flipped out over the last price hike were being ridiculous. Netflix is currently $8.99 a month for new users and you get unlimited streaming, original shows that are actually very good, and no ads. That's a steal. But if they implemented true ads (I don't consider the trailers ads) it would greatly impact the value, in my opinion. Ads are one of the reasons I will never subscribe to Hulu. Netflix will be at a great disadvantage if they ever adopt an ad model similar to the one Hulu Plus employs. H+ has always displayed ads, so people understand it's part of the deal. Netflix, on the other hand, would alienate a lot of customers if they foisted ads on them after having been an ad free service. The blow could be soften with a price drop to match H+, but many people would probably abandon ship. Display ads but make the service free? I think people would complain, but in the end "free" would salve all their wounds. At one time, cable TV (all of it, not just HBO-style premium channels) was supposed to be ad free based on billing for cable subscriptions. Clearly, that did not work out. There was too much money to be made. I view these ads as inevitable, just as they are on discs, in movie theaters and on television. As it happens, I subscribe to Netflix to get discs, not for its streaming service. I don't really care what the streaming service does; knowing that the streaming service will get progressively worse is reason enough to continue my efforts to expand my library of local content. Trailers for movies are still ads. By definition: "Advertising (or advertizing) is a form of marketing communication used to persuade an audience to take or continue some action..." Which means Netflix is trying to persuade viewers to watch other content, regardless of whether it might be interesting. Forcing viewers to watch ads while paying a premium price is just wrong. Youtube has ads, has videos and is also free. I watch it and don't mind the ads as they can be skipped. I would be probably watch free Netflix with ads, however my internet is limited and slow. I would not pay extra nor would I keep paying what I am to watch with ads. I still have my contacts in the black market world, still download my shows that air every week from that as apposed to waiting for the season to come to netflix. I subscribe to netflix due to it's cost and ease of use, and of course the original content as their stuff is a far cry better then anything network/basic cable has to offer. I do think they could have different price structures though, half price subscriptions for those that wouldn't mind minimal ads, free for those users that wouldn't mind how often ads played..